To Americans, “cultural diversity” means experiences derived from the differences in race, religion, gender, age, ethnicity and more recently, sexual orientation. Yet, this definition is a bit myopic; consider the implications of: immigration status, socio-economic and marital status, work experiences (blue collar/white collar, unemployed/underemployed), education, group memberships (NRA, ADL, Sierra Club, John Birch Society, Greenpeace, ACLU, Tea Party Movement), political affiliations, parenthood, disabled or disadvantaged or other significant life experiences - as they too, impact the concept of cultural diversity. In mediation, parties and other stakeholders (attorneys, adjusters, etc.) arrive with their own cultural experiences in tow, as influenced by the relative importance of the underlying issues. Often, emotional (love, grief, anger and/or fear) and rational (legal) issues are intertwined – refracted through these myriad cultural lenses. It takes forethought, preparation and research to integrate the cultural influences dominating a particular mediation. In complex multi-party cases, co-mediation with mediators who blend their own mix of cultural experiences and styles may be what the situation requires to create the opportunities for resolution. In the end, cultural diversity is best addressed according to respect, utilizing good instincts, developing trust, and providing leadership. A “successful mediation” encompasses resolution of a conflict, in a manner satisfactory to all parties. Satisfactory has a different meaning, from the individual perspectives of the normal cast of characters in mediation: a disputant, the attorney representing the disputant, the insurance adjuster and the mediator. How do we achieve “satisfaction” for all stakeholders, and does it matter? Questions arise in such complex situations: how are mediators chosen, and by whom? Whose “cultural diversity” is more important for purposes of successfully resolving a case? By whose life experiences and biases should a mediator be guided? Each question has a different answer, depending upon the lens through which we look. In this article, we explore cultural diversity and its application in mediation. II. How Does Diversity Impact the Practice of Mediation? It is said that culture, though omnipresent – is invisible.1 Only when seen through the lens of another culture, do we recognize that our lives are guided by a specific set of social values and norms. As the United States becomes infused with other cultures, religions and traditions, we are no longer a melting pot; we are a lava lamp - illuminating the ebb and flow of globules that consist of the ethnic, religious and social patterns known as an individual’s life experiences. For lawyers, mediation is typically a means to a speedier end: a vehicle for monetary settlement or case abandonment.5 The same can be said for insurance claims representatives, for whom the bottom line, and reputation for a particular type of settlement behavior, is of vast importance. Moreover, these professionals are “veterans” of litigation and mediation; they know what they need to do, and what they expect others to do during this process. III. How Does Diversity Impact the Mediator Selection Process? 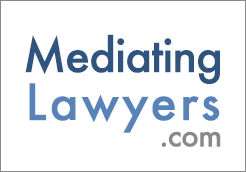 Why do attorneys pick a particular mediator? What is it about the mediator that instills a belief that he or she can get the job done? From an attorney’s perspective, a successful case resolution is either the payment of a substantial sum to his/her client, or (in the case of defense counsel), the dismissal of a case, or at least only a minimal payment. Attorneys resort to their own past experiences: who have they used in the past; who was thorough, balanced, knowledgeable, who did they trust to do a good job, not only for that attorney’s personal agenda (referral business, accolades), but for his/her client (procedural justice). So, for the fortunate mediator who has developed an ongoing relationship with counsel or an adjuster, he or she is entrusted with the responsibility of again, navigating the rocky road to resolution. But what of the untried mediator? Through what prism is he/she perceived by experienced plaintiff or defense counsel? Here, attorneys tend to revert to their own biases and perceptions: women lawyers comprehend and experience the processing of their cases differently from their male counterparts.14	If he or she feels that a mediator with a particular diversity or life experience will be more help to a client, then he or she will choose that mediator. In high stakes litigation, it may be that attorneys consider the untested male mediator first: men seem to be better equipped to handle the rock’em – sock’em nature of negotiations.”15	Not so fast - women tend to be better negotiators because they are better listeners and less aggressive.16	Women tend to focus on the person; men tend to focus on the problem and its solution.17	Who is better for this particular mediation? Who, indeed? Emotion permeates a conflict. It can be a source of strength or vulnerability.19	Emotion tends to evoke reciprocal or complementary emotion in others.20	In mediation, if parties (male or female) have the freedom to communicate their anger, their grief or fear, it can go a long way towards diffusing emotional barriers, allowing a family member or other stakeholder to move forward more productively. For them, success may be the ability to express the agony of a loss or the fear of the future, to gain some comprehension of the logistics behind an event, or to find some sense of closure. This may have nothing to do with the agenda of their counsel, or the adjuster reviewing the “occurrence” provision of a claims-made policy. What qualities should a mediator possess to handle all perspectives of a successful resolution? The successful mediator must recognize the influence of diversity in conflict. By doing so, he or she can avoid serious misjudg- ments, which not only can lead to compounding the conflict, but destroy- ing any trust gained. A mediator needs to acknowledge his/her own cultural differences, and be aware of both the commonality and any existing discord. It’s important for a mediator to be open and accepting of the diverse life experiences before him or her. He or she gains trust with all parties by offering an honest, “palms up” approach to the legal and emotional situation at hand. Objectivity, integrity and a commitment to the process are crucial to a mediator’s credibility. Finding commonality where possible, lending an ear, an eye and perhaps a shared story of a common experience, develops bonds of trust between the mediator and the party or attorney. By helping parties overcome bias and ingrained perceptions, a mediator can avoid escalating existing conflict. By taking advantage of the mediator’s own diversity – his or her life experiences, ethnicity, religion, culture and talents – mediators can work in conjunction with the parties, their attorneys, the insurance adjusters, and the collective bowl of life experiences, to fashion a resolution that makes sense from the head as well as the heart. Mediators use their own life experiences to form a connection with the parties: but most importantly, they must listen, really listen, to bear witness. They may forge a bond with a grieving party, if possible - creating a subtle union of trust and understanding between “fellow travelers” in grief.21 Utilizing active listening skills and, when appropriate, self-disclosure, are important tools that can create a connection that assists in the multiple levels of resolution.22	A mediator with similar life experiences may share a common episode, allowing a party to see that he or she is not the only traveler on that particular road. Even where the experiences are not the same, a skilled mediator can draw from his or her own familiarity, finding the pain experienced and transposing it onto the disputant – enabling the mediator to honestly empathize with the particular pain experienced as a result of a loss. A mediator’s past experience as a former plaintiff or defense litigator, judge, in-house counsel for one side or the other, may also allow him or her to gain credibility with an attorney or with an insurance adjuster: this is a mediator who understands the com- plexities of a lawsuit; of proving damages at trial; of convincing a jury of the right thing to do. It may be that a mediator’s past experience as defense counsel lends credibility to the evaluation that a case may have sub- stantial problems in the jury room. On the other hand, that same life experience gives a mediator the integrity to draw back the curtain hiding an unrealistic defense settlement offer, a distorted case evaluation or the need to pull back on promises made to an insurance carrier. Sharing this acquired “know- how,” mediators establish reliability and rapport with counsel, adjusters and their clients. This trust is what will sustain them and the parties if, and when a mediator must deliver less than positive news from the other side. As mediators establish an affinity with parties and attorneys, both indivi- dually and collectively, mediators gain credibility for the “tough moments” when they must deliver the bad news: the true value of the case may not be what the attorney has promised; the chance of success at trial may not be what the attorney thinks he/she can deliver to the client; the settlement offer may not be what the client anticipated. To bear this news successfully, a mediator must have established sufficient credibility to enable a party to both receive and honor the information. A mediator achieves this by way of 1) his/her reputation for integrity and honesty, 2) the trust established between the attorney or insurance adjuster, and the mediator in past mediations, or 3) the existing trust and rapport that has been built up between mediator and party during the existing mediation. VI. How Do Mediators Sprinkle Diversity to Move the Process Along or to Lighten the Mood? It’s a mediator’s responsibility to create an environment that encourages parties to process the factual and emotional information expressed by others. The mediator must assist all sides (defense and plaintiff alike) to be heard, understood and not judged. Mediators are the navigators on this trip: they must keep the ship moving forward. If interspersing a bit of cultural diversity can help - a childhood story imparted, a tale of old folklore, a religious yarn or some analogy linking a common message - so much the better. It’s immaterial that the religion is different, or the culture is dissimilar: what is important is the meaning and the intent, “I’m here, I hear you, and I feel your pain.” Where there are greater similarities, so much the better. Where there is not, a mediator mindful of the emotion and experiences discussed during sessions can provide an empathetic shoulder to figuratively lean on throughout the process. Where there are co-mediators, each of a different gender, each party has the opportunity to be seen through the lens of the same gender; they may be heard and understood by “one of his or her own.” We, as co-mediators, lend two sets of eyes, ears, and two open hearts to the process. We bring two sets of life experience to the table. Where we are diverse as between ourselves (different religions, generations, hometowns and legal experiences), we give parties a well-rounded balance in our approach to their conflict resolution. Good mediators work with parties to facilitate a mutually acceptable solution. Great mediators employ all techniques they possess not only to find a mutually acceptable resolution for the defendant as well as the plaintiff, but also to assist parties needing to travel the emotionally painful road they must journey and to harness the creative power of catastrophe23 in hopes that parties may find a path that has integrity and balance.24 This does not mean a mediator needs to be a therapist; only that a mediator be aware; possessing a mindfulness - analyzing and perceiving the nature of something, then forming a thoughtful, accurate judgment about it.”25	A great mediator works to see a situation for what it is, to see the contributing factors are that led to it, who then works to act in a way that will benefit the party who has reached out to him or her. A mediator’s capacity for empathy, honest communication and working towards a collaborative result can help the victim of a catastrophic loss, and those defendants for which loss the victim holds responsible. Finding the commonality between life experiences, by using his or her own diversity, pains and successes, a mediator can lend heartfelt awareness, validation and a reality check to both sides. This is critical: when a mediator must then offer thoughts that a settle- ment offer is the best that will take place, though lower than hoped for – there is integrity in the presentation: a credibility and confidence attached thereto. Parties feel safe to trust in the fairness of the process, in the procedural fairness of the circumstances and the outcome, though it may not have been what was expected or desired. The plaintiff understands the implications; the adjuster trusts the candor. In catastrophic loss, a party’s suffering is profound, so it is more difficult for parties to let go of their pain and anger, as their identities have fused with their suffering; they are uncertain who they will be without the conflict.26	Viewing information through the distorted lens of “accuser bias,” parties easily attribute responsi- bility for harmful behavior – “it is not only what people do to us that drives our response to them, but why we think they did it.”27	When someone acts in a way that causes us harm, we tend to hold him or her excessively responsible.28	When a parent’s crushing grief over the loss of a child can render him/her paralyzed, the anger resulting from such a loss can hold another unreasonably or excessively responsible; without management, this grief can lead to a blinding anger, ignoring all factors beyond any of the defendants’ control. Defendants, on the other hand, may suffer from their own set of excuser biases: where a defendant refuses to see his proportional responsibility, instead focusing on factors beyond his control that explain away his own behavior.29	A defendant, who cannot see his or her part in a tragedy, accuses others of superseding negligence. The adjuster who does not want to see the claimant’s perspective (or that of his own insured), focuses on factors beyond that which is before him/her: an insured has extended beyond the policy conditions; the claim does not fall within the policy parameters, or claimant has no case, so why settle? Culture shapes us much as a powerful, meandering river shapes the shoreline. Just as tributaries, storms and flash floods influence a river’s path, so too, do the crosscurrents of cultural norms and perspectives influence an individual’s view of conflict. Mediators must be mindful of how cultural diversity shapes the course of conflict and be ready to ride the cross currents with awareness, respect, sensitivity, and wisdom. Patience, calmness, mindfulness and a feeling for storytelling are some of the traits necessary for building a sturdy ship to sail the rough waters of cultural diversity. Integrating Culture and Negotiation Research, THE HANDBOOK OF NEGOTIATION AND CULTURE (M. J. Gelfand & J. M. Brett eds., 2004). Cultural Differences and Cognitive Dynamics: Expanding the Cognitive Perspective on Negotiation, THE HANDBOOK OF NEGOTIATION AND CULTURE (M. J. Gelfand & J. M. Brett eds., 2004). 5	Dr. Tamara Relis, Perceptions in Litigation and Mediation: Lawyers, Defendants, Plaintiffs and Gendered Parties, at 10 (2009), available at SSRN: http://ssrn.com/abstract=1348542. 6	The Handbook of Negotiation and Culture (M. J. Gelfand, J. M. Brett eds., 2004). 8 Relis, supra n. 5 at 10. For a thorough discussion of the emotional aspects of mediation, see Joseph Epstein with Susan Epstein, Grief, Anger and Fear in Mediation, TRIAL TALK, June/July 2010, at 37. 9	Relis, supra n. 5 at 10. 10 Relis, supra n. 5 at 3. 11 Morris & Gelfand, supra n. 4 at 9. 12 Keith G. Allred, Relationship Dynamics in Disputes Replacing Contention with Cooperation, at 91, THE HANDBOOK OF DISPUTE RESOLUTION (M. L. Moffitt and R. C. Bordone eds., 2005). 14 Relis, supra n. 5 at 9. 15 Lourig Charkoudian & Ellen Kabcenell Wayne, Fairness, Understanding, and Satisfaction: Impact of Mediator and Participant Race and Gender on Participants’Perception of Mediation, 28 CONFLICT RESOLUTION QUARTERLY 23–52 (2010). 18 KENNETH CLOKE, THE CROSSROADS OF CONFLICT: A JOURNEY INTO THE HEART OF DISPUTE RESOLUTION, at 178 (Janis Publications, 2006). 19 Daniel L. Shapiro, Enemies, Allies and Emotions: The Power of Emotions in Negotiations, THE HANDBOOK OF DISPUTE RESOLUTION, at 70 (M.L. Moffitt & R.C. Bordone eds., 2005). 20 Id. at 84; Bruce Barry et al., I Laughed, I Cried, I Settled: the Role of Emotion in Negotiation, THE HANDBOOK OF NEGOTIATION AND CULTURE (M. J. Gelfand & J. M. Brett eds., 2004). 21 Epstein, supra n. 8 at 38. 22 Id. 23 Cloke, supra n. 18 at 178. 24 Id. 25 See, generally, Leonard L. Riskin, Knowing Yourself: Mindfulness, THE NEGOTIATOR’S FIELDBOOK: THE DESK REFERENCE FOR THE EXPERIENCED NEGOTIATOR (A.K. Schneider & C. Honeyman eds., 2006); See generally, VENERABLE YIFA, DISCERNMENT: EDUCATING THE MIND AND SPIRIT (2009). 26 Cloke, supra n. 18 at 184. 27 Allred, supra n. 12 at 84-87. 28 Id. at 86. 29 Id. at 84-87. 30 Id. 31 Id.